In the world of NASCAR, teams changing their manufacturer affiliations happens every once in a while and most of the team, they aren't that big of a deal. For example, Furniture Row Racing moved from Chevrolet to Toyota this offseason and it didn't make a lot of of headlines. But today's news that Stewart-Haas Racing was moving from the bowtie of Chevy to the blue oval of Ford was truly a stunner and here is why. Coming into the season, expectations were the highest they had been in Baton Rouge for several years and it was easy to see why. Not only where the Tigers coming off their first NCAA tournament appearance since 2009, they also had the third best recruiting class in the country, one that was led by budding superstar Ben Simmons. They were featured in the preseason top 25 for the first time in a while, and rightfully so. 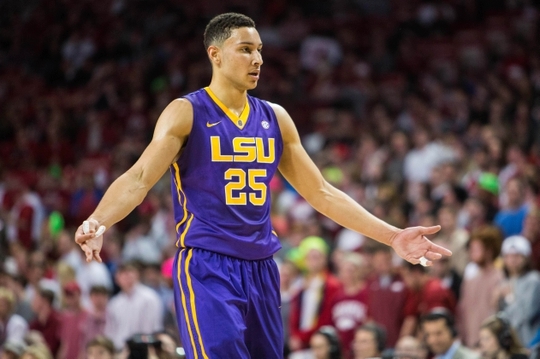 And here we are just days until March, LSU is coming off their third straight loss, their fourth in five games, and they currently sit at 16-12 with their hopes of an at-large bid to the big dance all but dead. Hence why LSU is one of the biggest disappointments of the season. As we begin another week, let's take another crack at projecting the order for the 2016 NFL Draft. Therefore, I present you with my second mock draft. Enjoy.